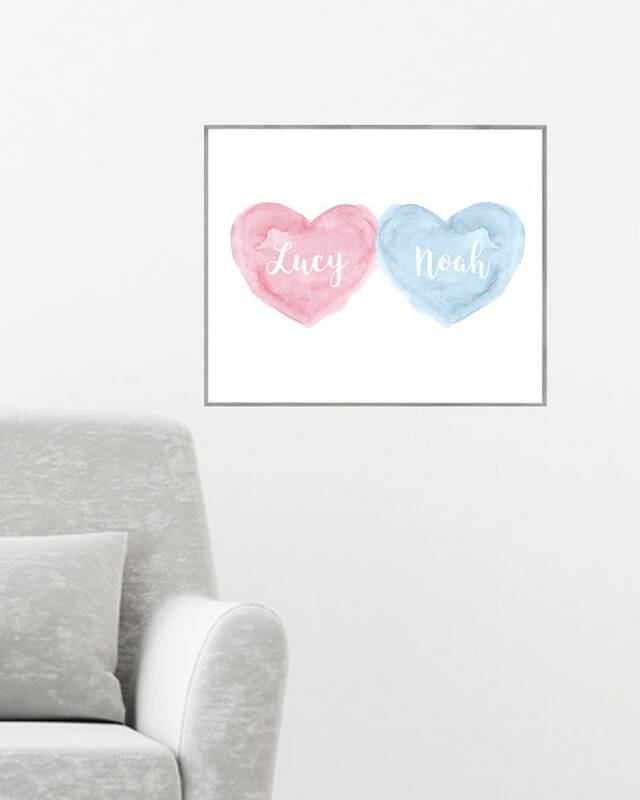 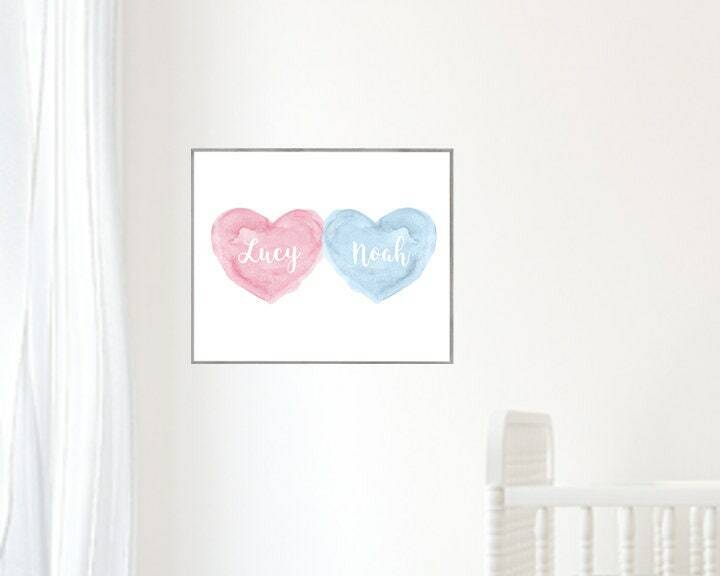 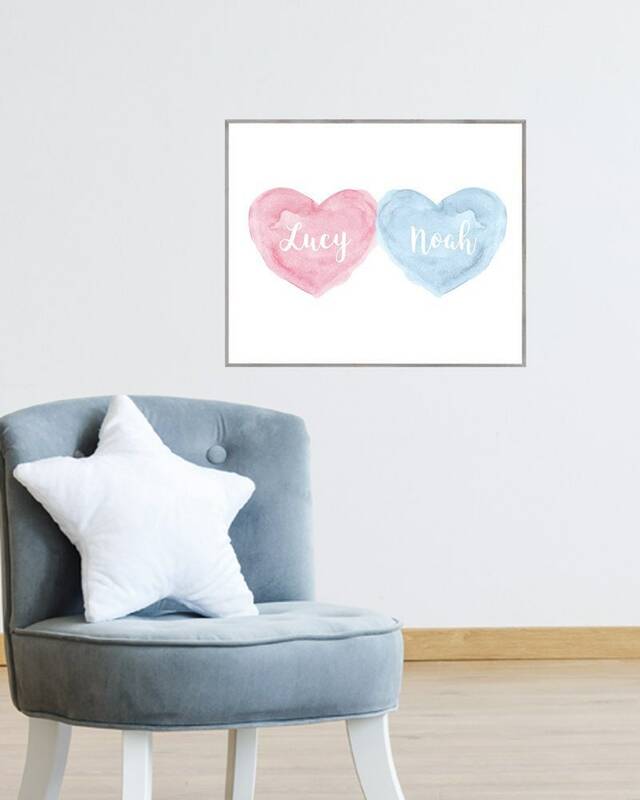 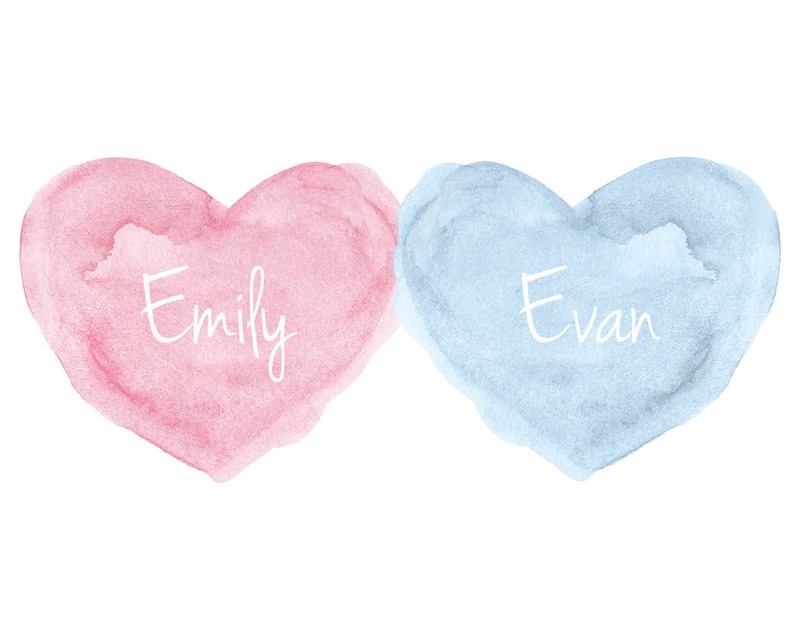 A sweet set of watercolor hearts personalized with your special names. 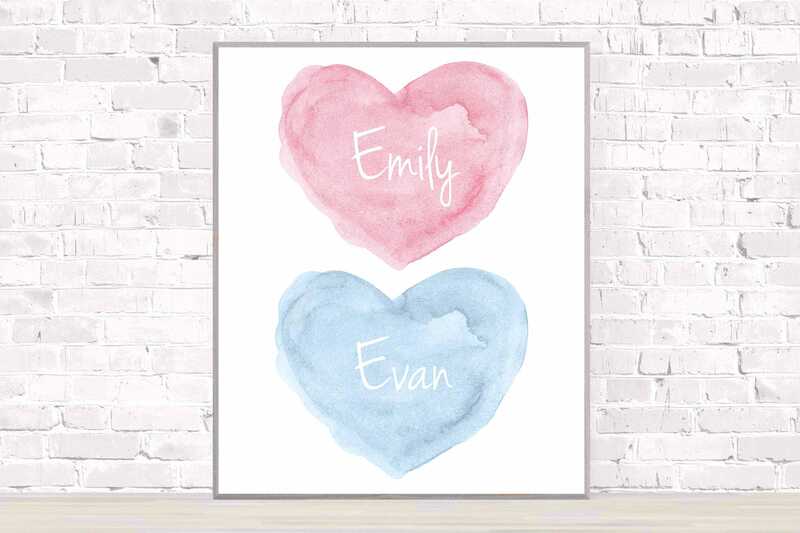 A poster recreated from my original and best selling watercolor heart painting. 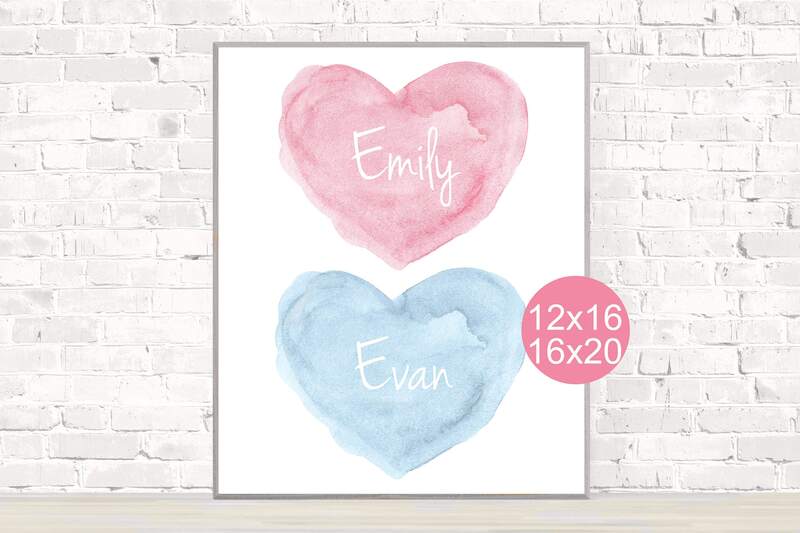 Available in 16x20 or 12x16. 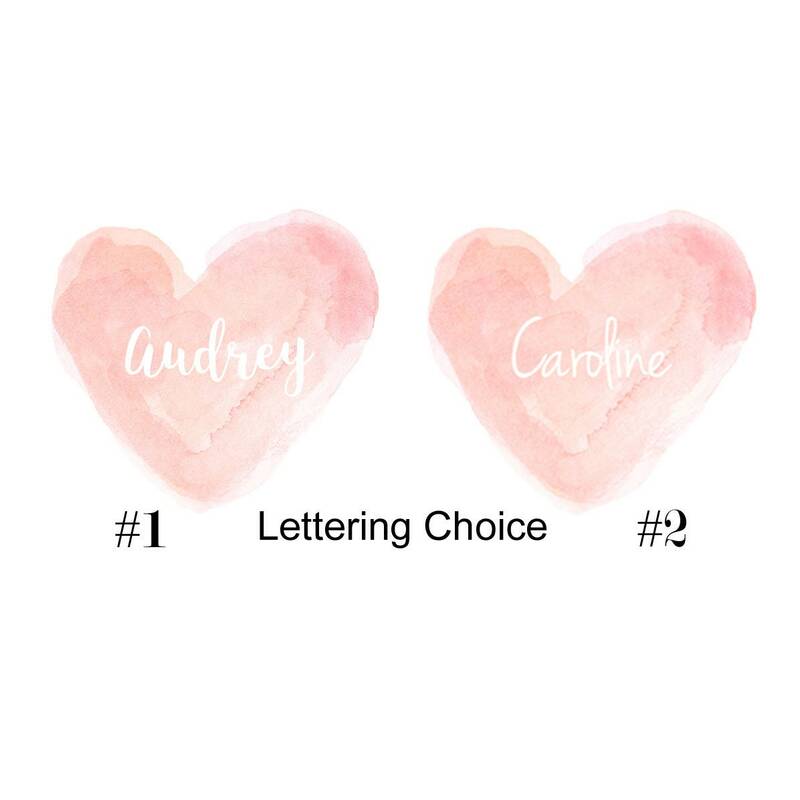 Just leave the names to print when you checkout in the notes to seller box.